Love was in the air in February 2018! 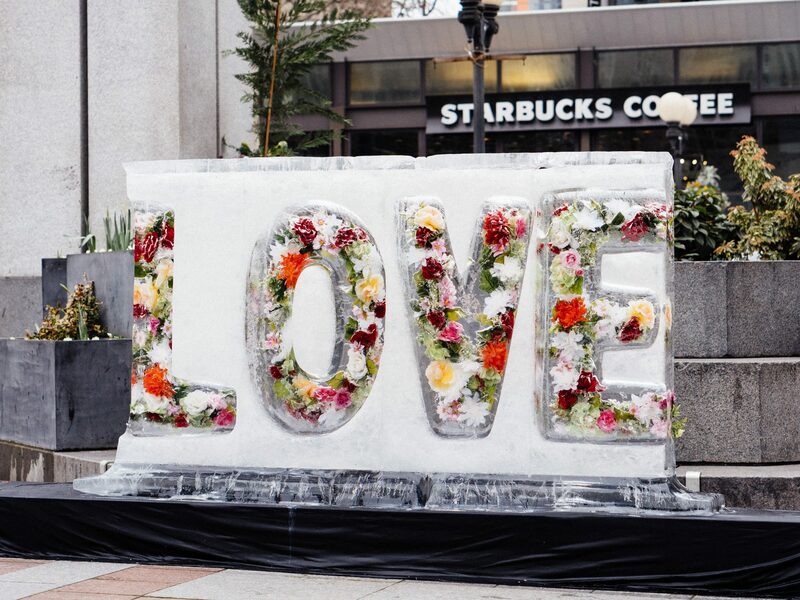 And L-O-V-E was in Westlake Park, spelled out in four-foot ice-block letters to celebrate Valentine’s Day. Flowers frozen inside this affectionate installation created an eye-catching, vibrant display of color, depth and beauty.